We love the Nintendo Switch for its portability, but multiplayer gaming isn't ideal on its small 6.2-inch screen. Enter the OJO Portable Projector Dock, which can display your games up to 150-inches onto any surface. We think this is a great idea, really building on the Switch's go-anywhere ethos. 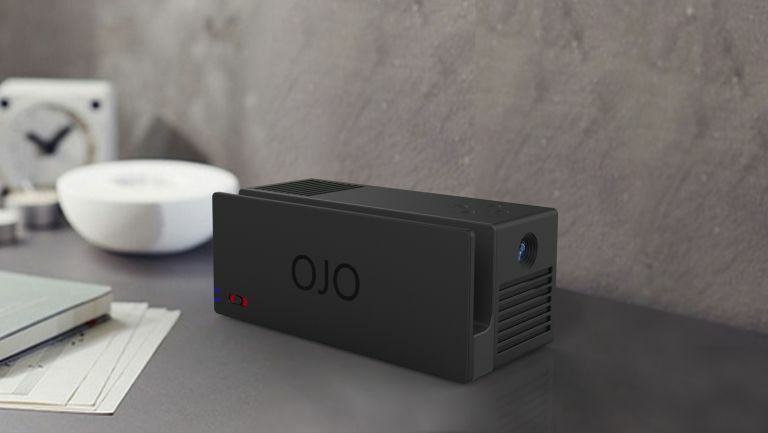 OJO measures 172 x 80 x 70mm, and resembles the games console's original dock. It packs a four hour battery life, and is charged via USB-C. OJO also acts as a back-up power supply for the console. The projector output is a resolution of 854 x 480 pixels at 200 lumens. That doesn't sound too impressive, but the videos shared on the brands Twitter account look pretty good, so were hopeful it'll be sufficient. OJO boosts the Switch's audio with a dual speaker stereo system. The brand claims this will provide "a rich quality sound, both louder and fuller than the Switch’s internal speakers". The dock also features an auxiliary port, allowing you to connect it to an external speaker system. To keep cool, the dock uses a vortex duct combination cooling system, with both fans and a copper radiator to keep both the projector and console cold. As well as the audio port, OJO also features a HDMI input so it can be used with a number of other devices from tablets and smartphones to bluray players. It sounds like a really cool idea, and we seriously hope the company is successful with its crowdfunding, and then have the ability to deliver (unlike some crowdfunded projects). OJO is launching on Indiegogo on 24th October 2017 and, assuming everything goes to plan, will be in gamers hands by February 2018.